Drug abuse is a growing problem on today’s college campuses. By students’ sophomore year in college, about half of their classmates will have been offered the opportunity to abuse a prescription drug (Arria, 2008). A quick internet search will give information about how abusing prescription stimulant drugs will help them stay up all night to study for exams or to write a last minute paper. Living near the University of Cincinnati, Ohio, I canvassed the campus with less than a month before classes are set to start, hoping to find some students lingering from the summer sessions to speak with. On condition of anonymity, two college students who were walking around campus offered to answer a couple of questions for me. “There’s a big market for it. Classes and books are expensive, so I guess it offsets the cost a little. We’re not all academic scholars or athletes here on scholarships. And, it’s so much easier than getting a job. It’s easy to go to the doctor or the health center and get a prescription for an ADD drug and turn around and sell it for several bucks a pill and then you have your spending money for the month. People do it all the time,” said a 19-year-old incoming female sophomore. I asked a 22-year-old senior, who gave me permission to use his first name, John. “If you’re talking about prescription drugs, it’s probably pain meds and something like Adderall. But weed is easiest to get your hands on if you’re looking for illegal drugs,” he told me. According to these students, if you are looking for some “weed” for your weekend festivities, it’s not too hard to find where the marijuana dealers are so you can relax after a long stressful week in the classroom. They speak of the ease of finding a dealer. Most of them are just down the hall in their own dorm. How Do Kids Get Involved in Dealing Drug? 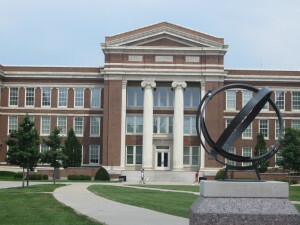 University of Cincinnati is well-known college where kids go to study to become doctors and scientists. So, why are these students selling drugs? 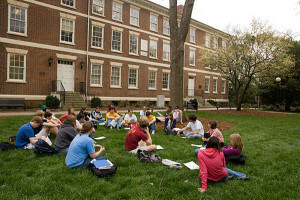 The National Center on Addiction and Substance Abuse (CASA) at Columbia University surveyed a nationally representative sample of 2,000 students, who said they did so to relieve stress, relax, have fun, and forget their problems. As mentioned above, local college students say it’s done to have some spending money, and possibly pay for tuition and books as the costs of college is on the rise. While the cost of college is on the rise, and social status may seem so important to these students, there is so much more at stake. If we look just at the short term, having a drug conviction can affect financial aid. According to the US Department of Education, a student’s eligibility might be suspended if the offense occurred while they were receiving federal student aid (grants, loans, or work-study). If they are convicted of a drug-related offense after they submit the FAFSA, they might lose eligibility for federal student aid, and they might be liable for returning any financial aid they received during a period of ineligibility. Not only will a student lose their aid, but also many schools have discipline policies regarding such convictions that may result in suspension or even expulsion from the school indefinitely. A drug conviction could be putting their studies on hold for an indefinite amount of time. Brilliant minds are potentially being squandered because of drugs. And then there are the long-term consequences. Drug convictions are most often felonies. Potential employers want to hire individuals they feel they can trust. While not every employer does so, the majority run a background check on individuals they are considering for a position within their company. Not only does the offender need to worry about student loans, but banks and other financial institutions may also deny a loan application for items such as a car, house or even a credit card due to a criminal record. They may be considered a high risk, as financing or loan companies want to know that the individuals they lend money to will repay the loan. Even renting could prove difficult, as most landlords will check a potential tenant’s background to determine if he or she is trustworthy and stable. Overall, having a drug conviction on record can damage a reputation and make life difficult in general. How Do We Stop The Rise in Drug Abuse At School? It seems that our campuses are swarming with alcohol, prescription pills and illegal drugs. All of these have the ability to ruin and destroy the lives of these young men and women who have so much potential. It will take a cultural overhaul to get this misuse of substances to no longer be the “norm” for our young adults who are in college. For now, we must continue to provide them with the resources and support they need to stay focused on their studies and overcome any addictions and struggles they may face, educating them and guiding them along the way. It would be terribly unfortunate for us to lose any more of these bright and talented minds to the hands of drugs and addiction.